The defense industry resisted this impulse, in large part, because of concerns over security. If a state which manufactured key components of a weapon system became hostile, then the military could lose access to those components. Moreover, the insistence of the United States on maintaining tight export control in order to protect its technological advantage during the Cold War militated against an overly dispersed production chain; having the main facilities close to home made them easier to protect. For a variety of reasons (the rise of dual-use technology, the end of the Cold War, an increase in capital mobility), the autarkic nature of the defense industry has waned. 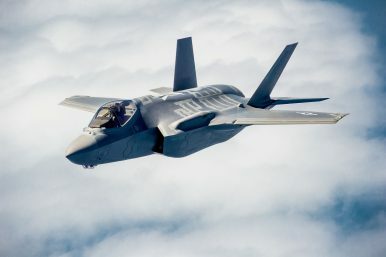 In the case of the F-35 project, production and technology transfer across a wide range of countries was part of the point; it decreased costs for the United States, gave foreign countries a reason to buy the plane, and promised to increase alliance-wide interoperability. But the dispersal of contracts across countries (and indeed, the shift to a lead contractor model within the U.S. defense industry itself), espionage (cyber or otherwise) has become much easier. Chinese operatives can now approach engineers, military officers, administrators, and attorneys from a wide range of different countries and companies in search of access to military technology. Indeed, the very act of communication between all these different actors creates opportunities for cyber-espionage. The United States cannot have it both ways. It cannot enjoy the benefits (political, financial, and technological) of an open, dispersed defense industry, while also maintaining tight control over the innovations that industry produces. The domestic solution to this problem is intellectual property law; firms refrain from stealing because they fear legal retribution. But international IP law, especially in the military-technical field, is still a long way from wielding this kind of stick. And with the apparent death of the Trans-Pacific Partnership, the gulf between domestic and international IP enforcement won’t close anytime soon. Does it even matter if China updates its intellectual property regime?